08/04/2019 Conseil du coin : meet a french notaire to a cafe ! Every 1st Saturday of the month, the notaires of the Conseil du Coin offer you legal advice in several cafes in France. 12/02/2019 International Agricultural Show 2019: meet french notaires ! From February 23 to March 3rd 2019, please come to get free notaires advices at the Paris International Agricultural Show. French property market trends, french property prices in the 3rd quarter of 2018: French notaires analyse property market in France. On January 16, 2019, Mr. Pierre-Luc Vogel, notary in Saint-Malo, officially took office as President of the Council of Notariats of the European Union (CNUE). French Notaires are present at the “France Show” which take place at Olympia Center exhibition center, 25-26-27 January 2019. French property market trends, french property prices in the 2nd quarter of 2018: French notaires analyse property market in France. On 9 October, in Brussels, The Council of the Notariats of the European Union concluded its European project on cross-border mediation co-financed by the European Commission. 30/08/2018 Benefit from free advices of french notaires ! On September 26 and 27, 2018, take advantage of the advice of notaires offered! In a train, in your city, or by telephone, the notaries of France offer you free legal consultations. Family law, wealth or real estate: in September, french notaires come to meet you! French property market trends, french property prices in the 4th quarter of 2017: French notaires analyse property market in France. Jérôme FEHRENBACH succeeds Patrice TARTINVILLE in the General Management of the High Council of French Notariat (Conseil supérieur du notariat), the professional organisation of the french notariat, from May 2018. 07/03/2018 "S'expatrier : mode d'emploi" exhibition : Prepare your expatriation with notaires ! On March 21, 2018, the exhibition "S'expatrier : mode d'emploi" will open the doors of its 9th edition at the Cité Universitaire de Paris. Notaries of France will be present and will welcome you on their stand from 9AM to 8PM to give you personalized legal advices. 09/02/2018 International Agricultural Show : meet french notaires ! From February 24 to March 4th 2018, please come to get free notaires advices at the Paris International Agricultural Show. French property market trends, french property prices in the 3rd quarter of 2017: French notaires analyse property market in France. Marius Kohler, notaire in Hamburg (Germany), took office as President of the Council of Notaries of the European Union on 19 January 2018. French Notaires will be at the “France Show” which take place at Olympia Center exhibition center, 27-28-29 January 2018. Me VOGEL he has just been unanimously elected Vice President of The Council of the Notariats of the European Union. French property market trends, french property prices in the 2nd quarter of 2017: French notaires analyse property market in France. From 5 to 7 October, Notaries from 22 European countries are set to meet in Spain as they look to improve consumer protection in the digital environment and the mobility of companies within the EU. French property market trends, french property prices in the 4th quarter of 2016: French notaires analyse property market in France. Buying property is often akin ti clearing an obstacle course.What precautions should I take? 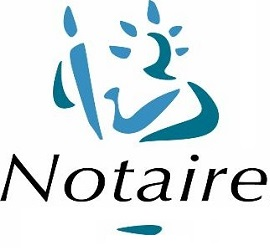 A Notaire is a legal specialist with a public authority mission who draws up authenticated contracts on behalf of his clients. He is self-employed. A Notaire is a public officer who operates in every area of law including family, property inheritance, asset, company law, countryside law, local authorities, etc. He acts on behalf of the State and is appointed by the Minister of Justice, and the fact that an instrument is drawn up by a Notaire is a guarantee of its legality and authenticity. All this means that the Notaires are vested with prerogatives of official authority which they receive from the State. Under the terms of Article 1 of the Order dated 2 November 1945 regarding the status of Notaires, "Notaires are public officers authorised to record any instrument or contract the parties to which are obliged, or may wish, to invest with the type of authenticity associated with public authority instruments". The Notaire is empowered to authenticate instruments by affixing his seal and signature. By so doing he officially witnesses the wishes expressed by the signatories and gives hispersonal guarantee regarding the content and date of the instrument. Such instruments then have the legal status of a final judgment. As such, the Notaire is an amicable judge and dispensers of out-of-court justice. Although he has a public authority, the Notaire operates on a self-employed basis and is responsible for his own office, thereby providing a modern type of public service that costs nothing to the State. He isa self-employed professional who is paid by his clients (and not the taxpayers) on the basis of a rate fixed by the State for the services he provides. See the page dedicated to the notaire's fee. The Notaire is present throughout the country according to a zoning system worked out by the Minister of Justice to best serve the needs of the population. The Notaire is therefore able to provide a locally-accessible public service focused on legal matters. His office is not subject to "numerus clausus" restrictions which would limit the number of notaires operating at any one time. Instead they are subject to a zoning system which ensures in order to cater to the needs of the population in any given area. Consult the last figures of the profession. The location of Civil Law Notary offices is reviewed on an ongoing basis under the supervision of the Central Administration of the Ministry of Justice, known as the chancellerie. to oversee the financial conditions under which the profession is carried out with a view to ensuring quality of service.